Good news, your parcel has arrived in country and will be delivered to you soon. Click here to see the current status of your order. I received email of "Update on your recent Next order" on 6th Nov but you didn't write order tracking URL. Again, I recieved email of "Update on your recent Next order" in Japanese email. However I cannot comfirm my order tracking URL because "Click here" link is out. Please comfirm it! I am sorry that you are still waiting for your order. After looking into this further I can see that your order was held in customs, however this was released 10/11/17. Your order will now be on its way to you. I am sorry for any disappointment or inconvenience caused. 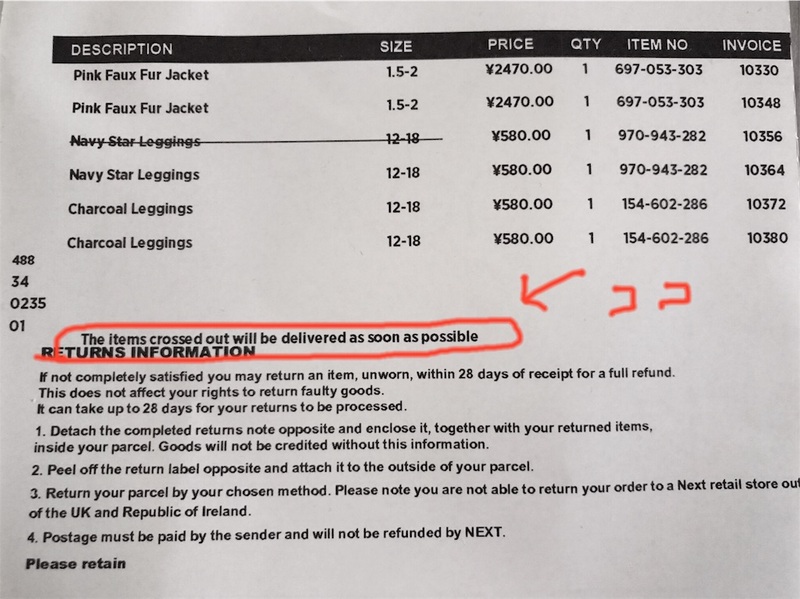 The items crossed out will be delivered as soon as possible. Thank you for your email. The order has arrived. However one of the order was not filled. I ordered 2 of Navy Star Leggings but 1 was not sent. The order description shows that the item was crossed off (Let me attach the picture). I think it was sold out but I wonder whether I can get this product. Can you kindly send one after you fill the inventory? I have twins. 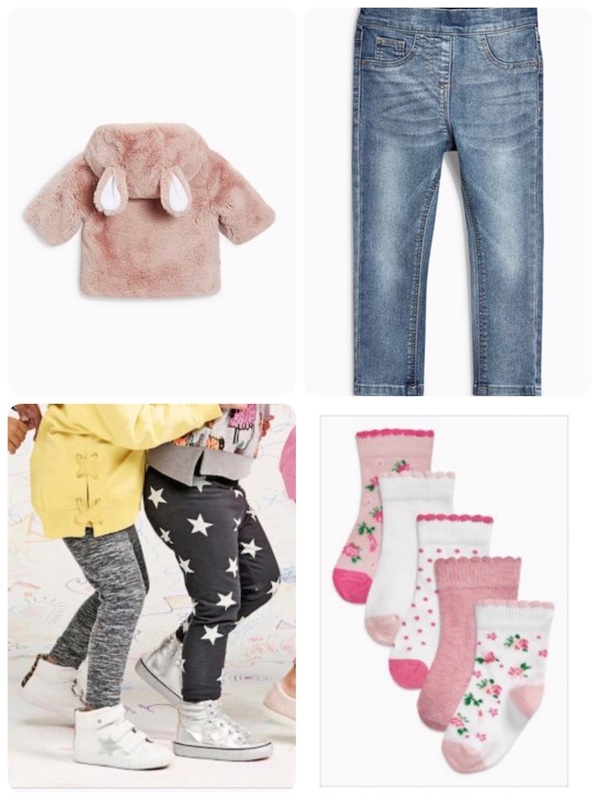 I would like both of my daughters to wear the leggings. If you cannot send another one to me, I ask you to refund 580 JPY. 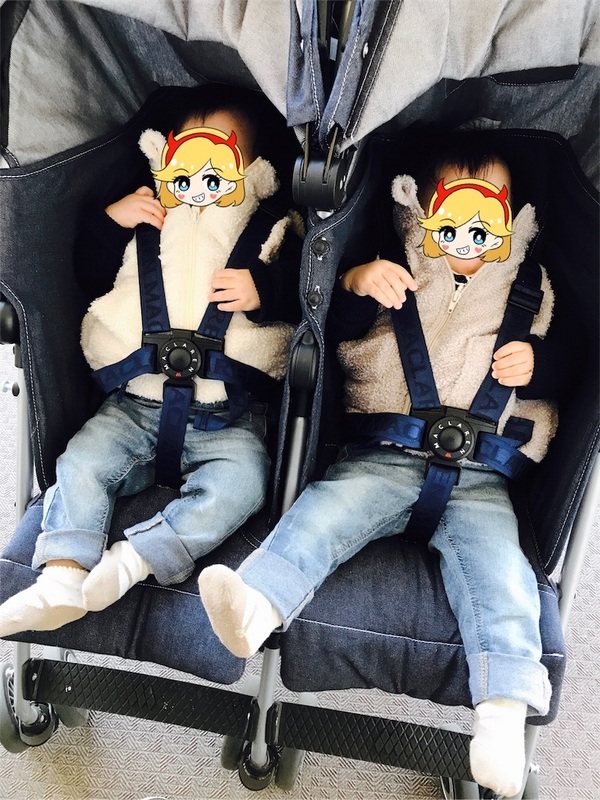 My twins and I really love your clothes. They look pretty with your items. We will keep choosing your cute clothes!